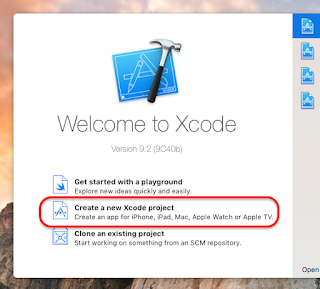 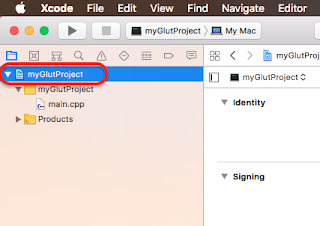 Open Xcode > 'Create a new Xcode project' . 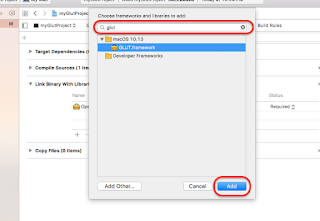 Navigate to 'macOS' tab and select 'Command Line Tool' > Click ' Next' . 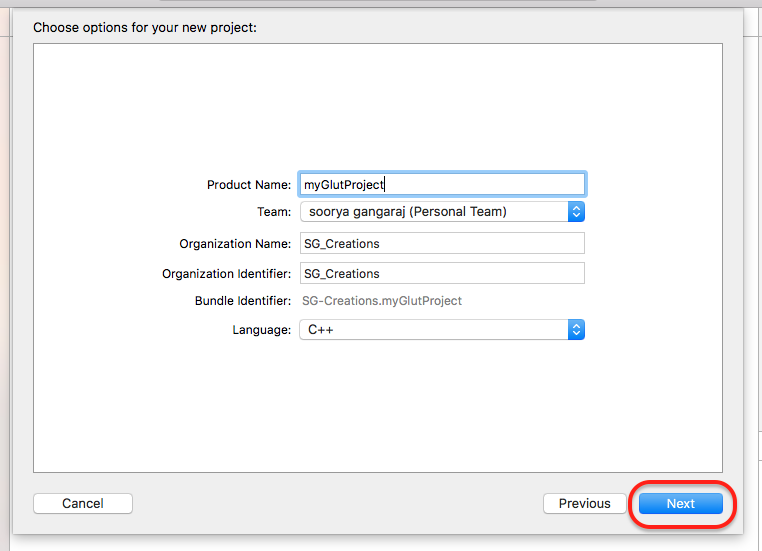 Fill your project name and other details > Select 'C++' as language > 'Next' . 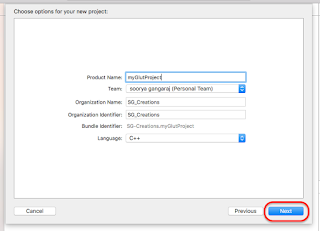 Choose the project Location . Click on your project name (at the top left corner). 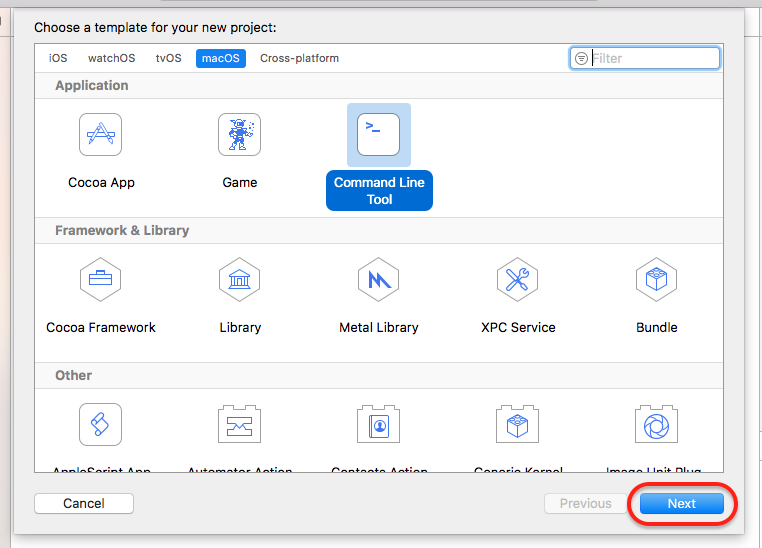 Navigate to build Phases > Click add button '+'. 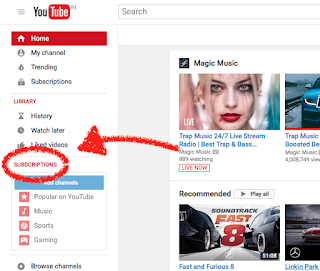 Now one search window will pop up. 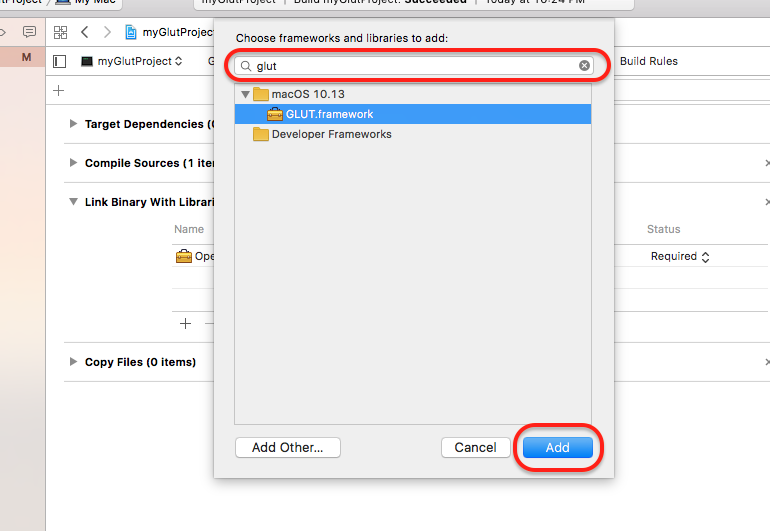 Search and add 'OpenGL.framework' and 'GLUT.framework'.